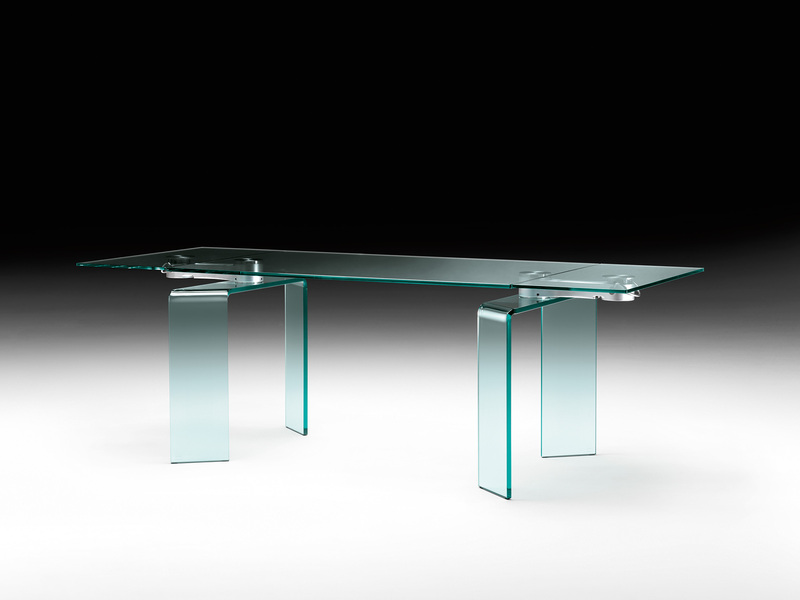 RAY is an extensible dining table composed of a 15 mm thick tempered glass top and an extension in 12 mm thick tempered glass, 45 cm long allowing two additional seats. 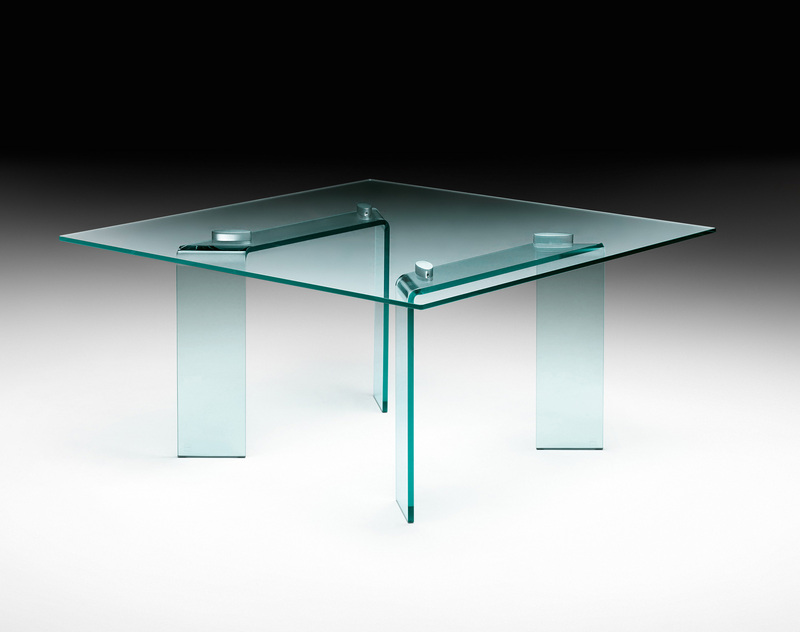 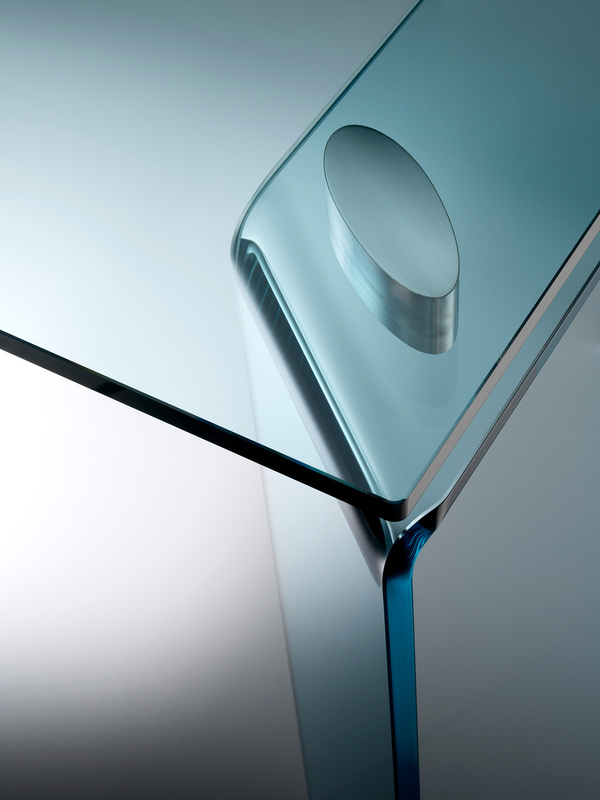 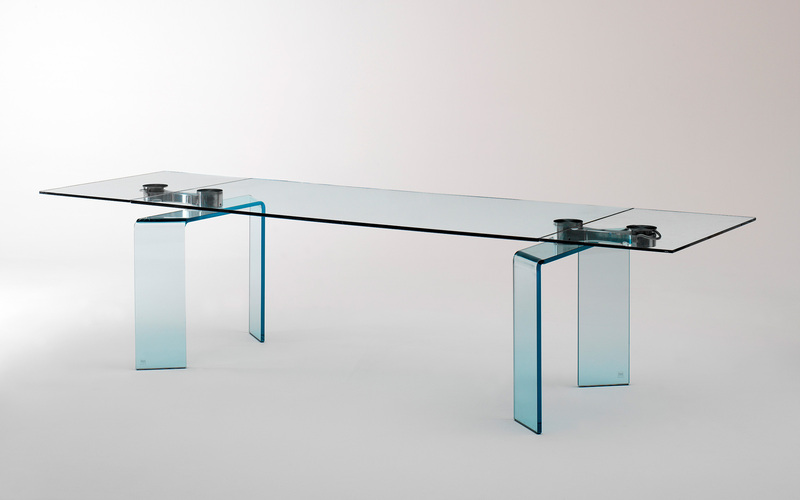 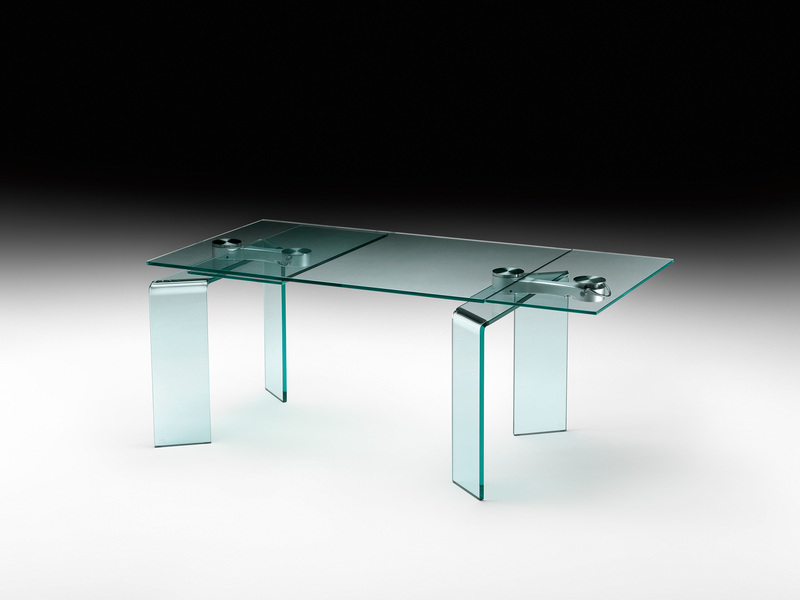 The jointed base consists in two 20 mm thick curved glass elements glued together. 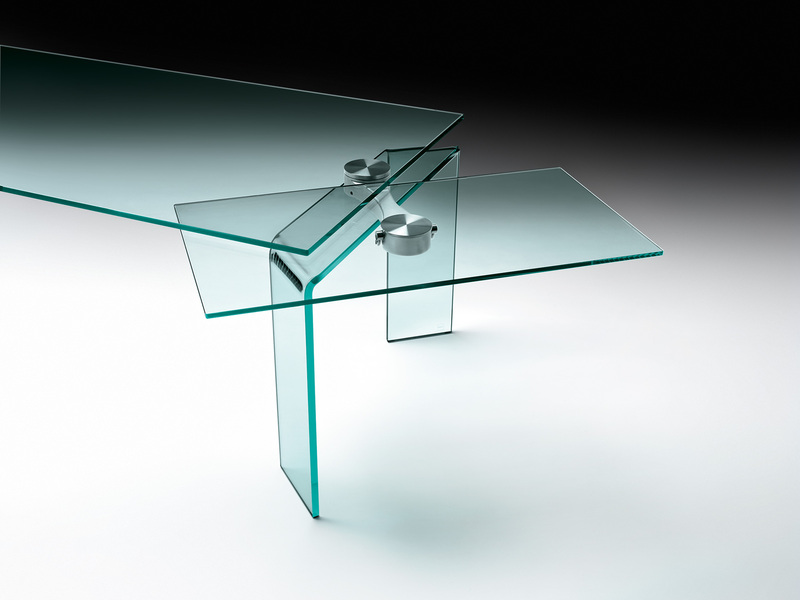 The extension system includes a rotating arm in polished steel and fastening plates in stainless steel.